You choose the motif from ultra modern to classic traditional frames. For a less expensive way to preserve your prints and photos, consider having them plaque mounted (a thinner edge) or flush mounted (a thicker edge). The edges are available in a variety of colours. 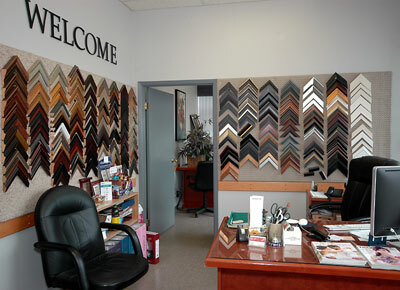 It will be our pleasure to help you decide which colour schemes will most enhance your photos and paintings. Our goal is to create an artifact to be handed down from generation to generation.